UPDATE: BeltTour is live! Click here to download it. 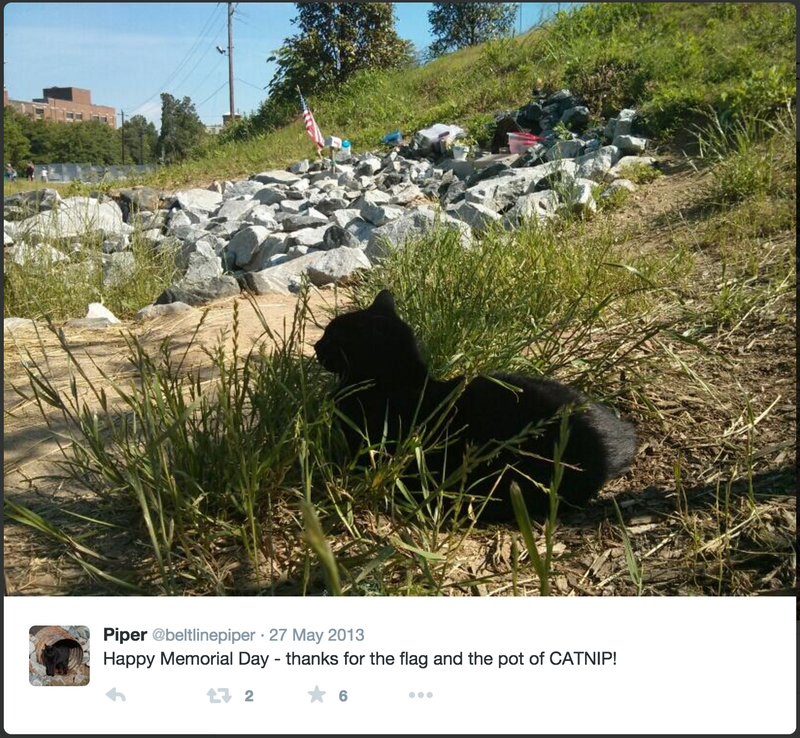 Piper, the cat who lived in a pipe found on BeltLine, has amassed over 1,300 followers on Twitter from all over the world, received countless letters to her mailbox, and was the beloved by the community for many months. Piper eventually “sold” her house (the pipe) and found a new home. She now lives with John and Dana, who were kind enough to meet up with us and tell their piece of Piper’s story. We couldn’t wait to share it with you.